Will making the striper a gamefish simply transfer the catch from the commercials to the recreational anglers and do nothing to help the striped bass population? No. Throughout the history of striped bass management the organized pressure for expanding the harvest quotas has come from commercial interests. Recreational anglers have tried to hold down the mortality rates to increase the quality of fishing and the health of the striper population. The existence of a commercial fishery also inevitably spawns an illegal element that causes unrecorded but very significant mortality. Recreational anglers already have 60% of the catch; why shouldn’t the commercial fishermen have some? Can’t we share this fishery? The commercial fishery for striped bass is executed by an estimated 10,000 people, with the vast majority being “pin hookers” or weekend warriors who simply pay for their own sport by selling their catch. There are some 3,000,000 recreational anglers who fish for striped bass coast wide. Because of very restrictive size limits, most of these recreational anglers are never able to keep any of the fish they catch for their own consumption. Isn’t the striped bass population thriving right now? That’s a matter of opinion. There are mixed signals and information coming from the scientific data as well as from the observations of some very experienced anglers fishing from Maine to North Carolina. While the total number of fish may be up, the age structure of the striped bass population is seriously out of balance, resulting in fewer and fewer large, mature fish in the mix. Stripers Forever, and more than a few fishery managers, think that in addition to being unfair to the public, the high level of commercial fishing targeting mature, prime breeder fish and young fish in nursery areas is a double whammy that is potentially very dangerous to the health of the striped bass population. Why should anybody keep any stripers since they are such a great gamefish? In addition to being a great gamefish, stripers are equally delicious food fish. Many recreational anglers would like to occasionally take home a wild bass they have caught to feed themselves and their families. 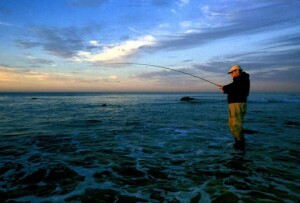 For many individuals, that is an important part of the striped bass fishing experience. Won’t we lose jobs and hurt the economy by stopping commercial fishing for striped bass? The economic benefits of recreational striped bass fishing far exceed those provided by the commercial fishery – even in the states with the largest commercial fisheries for striped bass. Commercial bass fishing actually costs jobs and reduces economic activity because fewer fish lead to fewer jobs in the recreational sector. It is a well documented fact that the same quantity of fish taken recreationally create many more jobs – most especially good, full time jobs with benefits – than is the case in the commercial fishery. Does commercial fishing for striped bass put food on the table at a reasonable price? Not at all! In the marketplace, wild striped bass are high priced, luxury fish. Most people cannot afford to buy them. Folks would be better served by catching their own bass or buying aquaculture produced stripers that would appear year round in much greater volume and at lower prices, were it not for the seasonal glut of commercially harvested wild fish. 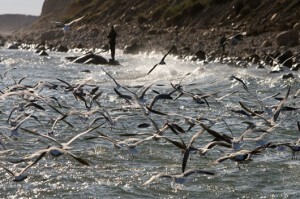 What about everyone’s right to eat wild fish? Doesn’t the market make them available to all? The market makes caviar and Mercedes Benz cars available to all, but few can afford them. There are four times as many people alive in America as there are striped bass. One bite each and the entire population would disappear in one meal! As with wild waterfowl and game animals, and freshwater fish, the fairest way to distribute the harvestable portion of such a wild resource is to let those who can and are willing to catch their own do so. This has long been a basic right of all Americans. To prohibit citizens from reasonable individual access to striped bass so that a few commercial fishermen can bring them to market for sale to the highest bidder is contrary to the way a democracy should handle its public resources. If I join Stripers Forever will I be hurting large organizations like the Recreational Fishing Alliance or the Coastal Conservation Association? That is most definitely not our intention. Those organizations have a broad marine conservation focus which we strongly support. We think that gamefish status for the striped bass is so critical that it warrants a special, dedicated effort like the one Stripers Forever has mounted. What are the chances of achieving the goals of Stripers Forever? We make no bones about the fact that there will be significant opposition to our efforts. But there are basic freedoms of citizenship at stake and we know our position is just. The current management system has failed to produce a healthy, well-balanced striped bass population largely because commercial fishing interests have a disproportional influence on fishery managers. It is time to manage striped bass as gamefish. 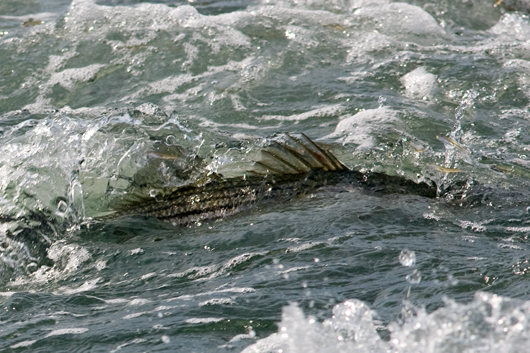 If we make the striped bass a gamefish will all other species be next? No. Many commercial species such as codfish are not easily accessible by recreational anglers, and with others like bluefish the recreational anglers don’t harvest anywhere near their allowable quota. 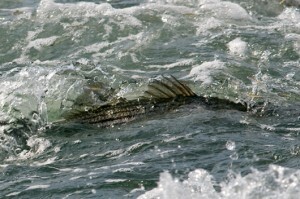 Stripers are somewhat unique in that they are found predominately inshore, within the reach of even shore-bound anglers. Striped bass are truly the people’s fish. Why can’t we just strengthen the conservation measures? Every year since the striped bass started to recover the commercial fishermen have pushed for larger and larger catches. Since the fisheries managers deal predominately with commercial fisheries in their daily jobs, they have a natural tendency – and in fact are usually under political pressure – to accommodate commercial fisherman’s desires. The arguments of personal use harvest, recreationally based industry, and quality angling are really lost on most of these individuals. 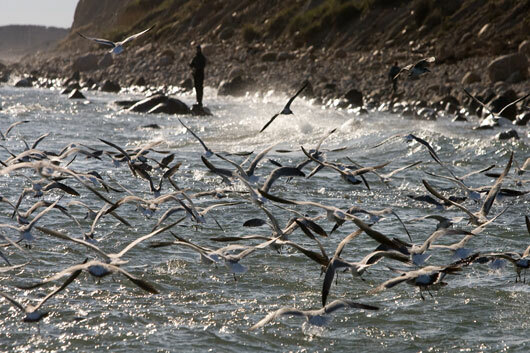 They are used to thinking of the landed value of the catch as the only real measure of economic value from fishing.